The Volkswagen Golf R400 is dead, though it was still officially ambiguous as to whether or not it’s 395-horsepower, 2.0-liter motor would live on in something else. But now it’s official. That’s dead too. But where it really got us excited was with the possibility of the Golf R400, which was a bit like some sort of nutjob’s garage monster. 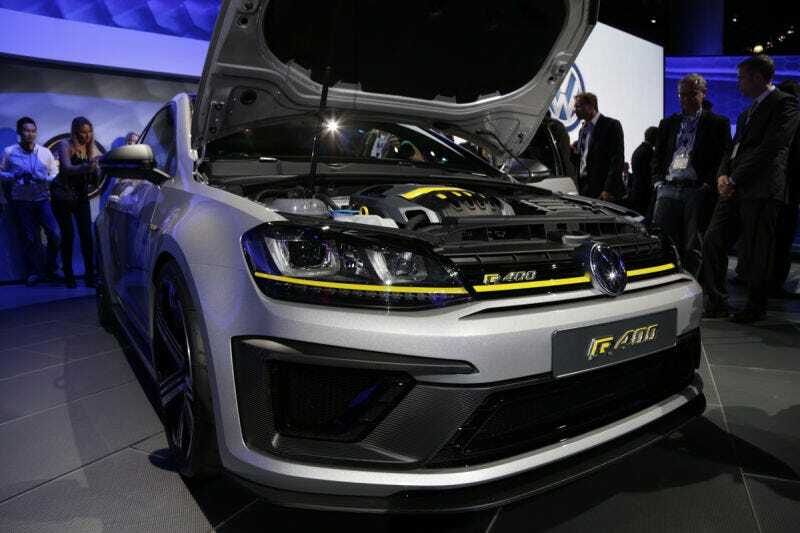 The Golf R400 was officially killed off back in April, a victim of Dieselgate as Volkswagen seems to be scaling back damn near everything in a bid to save money. Maybe, just maybe, it would live on in something else, however. Developed by the same man who created AMG’s 2.0-liter turbo four-cylinder, it was based off of an already-existing VW engine. In a perfect world, it would have been able to slot into anything based on the company’s MQB architecture, which is damn near everything these days from the aforementioned Golf to a Skoda Kodiaq. “The 400-horsepower EA888 engine is dead,” Reil said. “If we go for the four, to have that specific power output from a 2.0-liter, the engine is unbelievably expensive and then we still have only a four-cylinder engine,” Reil insisted. Long story short, there was just way too much overlap, and not enough scalability, as compared to Audi’s existing five-cylinder engine in the TT RS, though Reil was quick to tell Autoblog that the new generation of five-cylinder probably owed more to the 2.0-liter four than the last generation five-cylinder mill. Oh well. At least there are still other cars.